I made a big chart of this one day. Beautiful!!!! Are you going to make a large version available? What do you mean by “large version”? 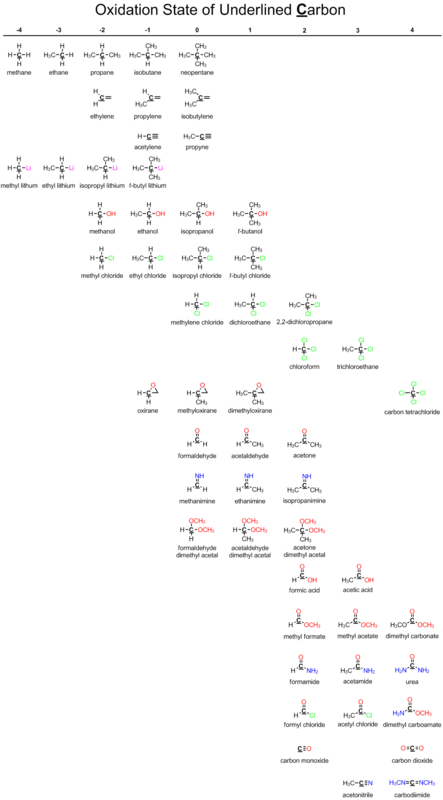 The png is 1175px x 2120px. It’s just over 2 landscape chemdraw pages tall. You should be able to zoom in on the picture to get a larger version. My error. Looks amazing. Looking forward to the post! This is very helpful. You should compile all your posts into an e-textbook or something similar. Subscribed. Were you planning on making a post specifically on this topic? 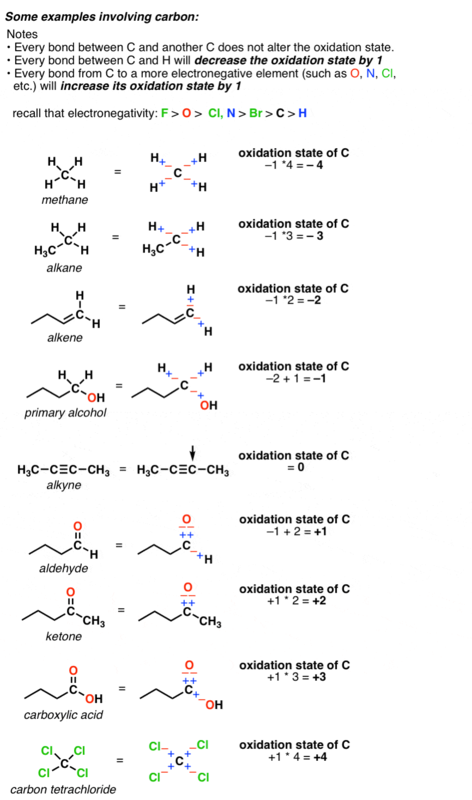 why an atom shows different oxidation states. That is a very deep question and not so simple to answer. 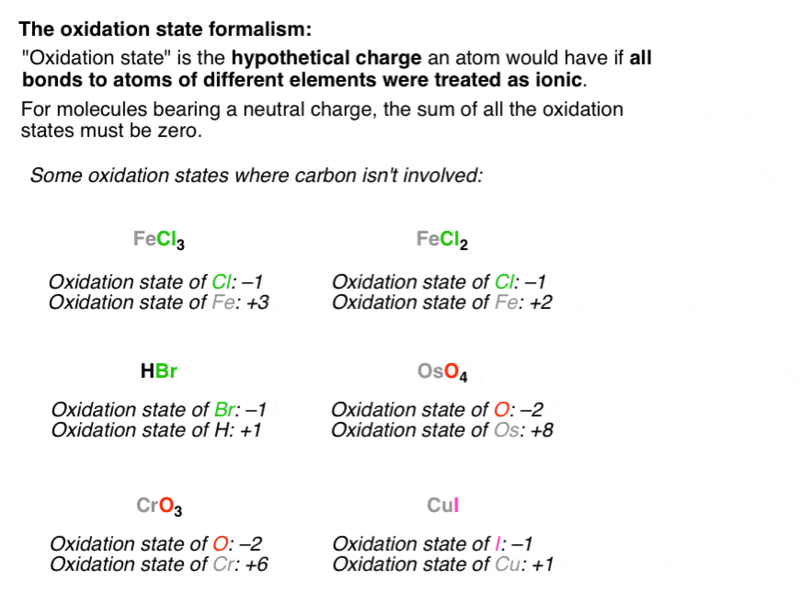 Wow, I never understood the concept of oxidation states until just now. I always just memorized how to do them. 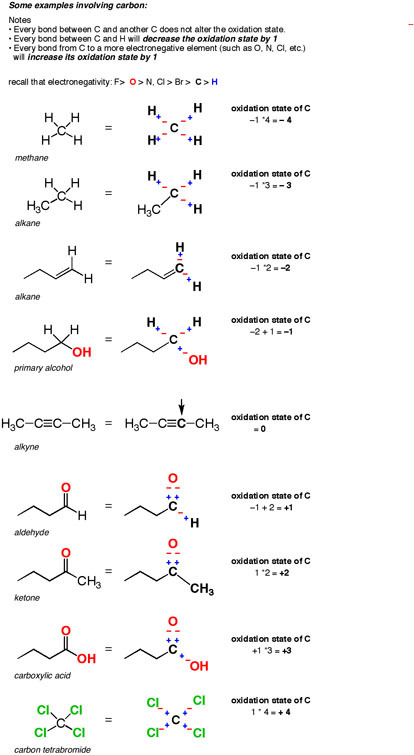 Some people say that the carbon atoms in acetic acid have oxidation numbers of +2 & -2 by referring to their states of hybridisation (sp2 & sp3) and applying the concept of electronegativity . If it is correct, then why don’t we apply it to all other compounds? 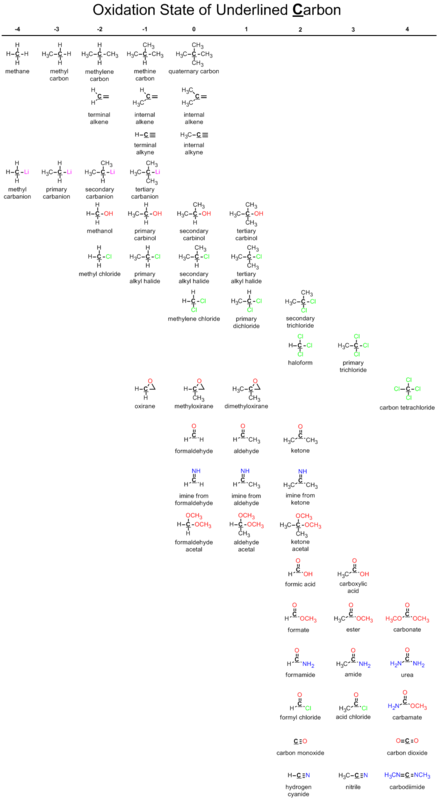 If the carbon has a higher oxidation state in ketones than in aldehydes, then why are aldehydes easier to reduce? Is it only due to sterics? I assume sterics is why aldehydes are more reactive to nucleophilic addition.